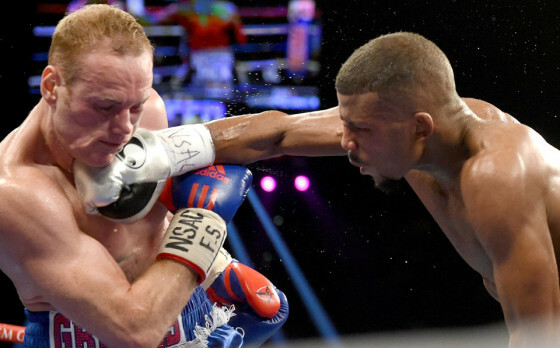 On Tuesday night, Sep. 29, WBA junior lightweight champion Javier Fortuna stopped a brave but outgunned Carlos Ivan Velasquez in under ten rounds inside of the Palms Casino and Resort in Las Vegas, Nev.
Fortuna (29-0-1, 21 KO’s) dropped and bloodied Velasquez (19-2, 12 KO’s) in the second and appeared to be on his way towards a stoppage victory but his Puerto Rican foe fought on valiantly. There are few prospects in the game like Damien ‘Sugar’ Vasquez. 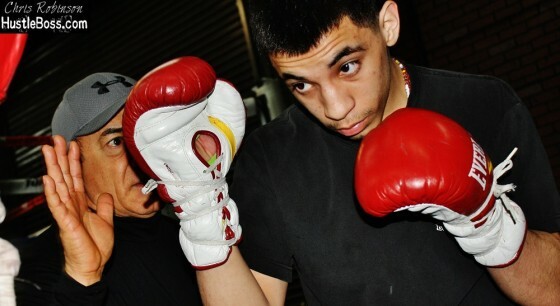 Still just 18 years old, Vasquez (7-0, 3 KO’s) is technically a champion, having captured the NABF junior flyweight title in his sixth pro bout. And as we reported, Vasquez will soon be part of Al Haymon’s “Premier Boxing Champions” movement, with his likely return date to be on the undercard of the Oct. 14 Devon Alexander vs. Aaron Martinez bill in Glendale, Ariz.
As reported recently by Hustle Boss, recently-retired pound for pound king Floyd Mayweather has been spending some time recently back inside of the doors of his famed boxing facility out in Las Vegas. 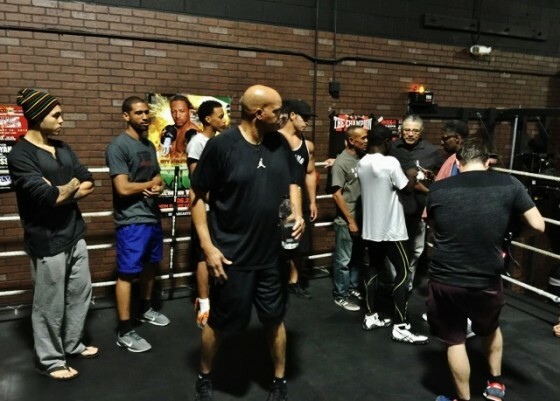 Throughout any given time of the year you are sure to find great talent lurking around the Mayweather Boxing Club and Mayweather has always kept an eye out for the next wave of prospects. 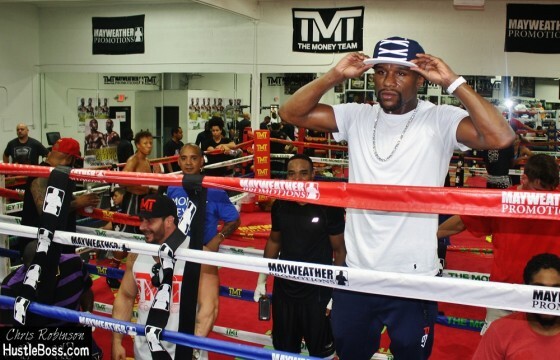 On Friday, Sep. 18, former pound for pound king Floyd Mayweather could be spotted inside of the doors of his personal gym in Las Vegas, Nev.
Mayweather is less than two weeks removed from his 49th professional bout, as he scored a unanimous decision victory over Andre Berto on Sep. 12 inside of the MGM Grand Garden Arena. Mayweather was his typical self with Berto, as he focused on his defense while chosing the right moments to open up and engage. 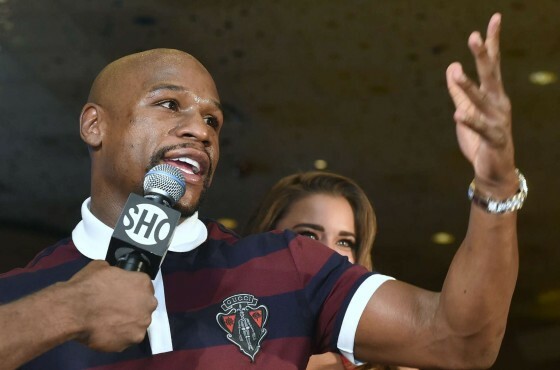 With Floyd Mayweather’s unanimous decision victory over Andre Berto now in our rear-views, the boxing world will not turn its attention to the next wave of big events on the horizon. And while there are surely still a bevy of top-flight performers left in the sport in the wake of Mayweather’s retirement, there is no bigger showdown on the horizon than the Nov. 21 clash between WBC middleweight champion Miguel Cotto and former junior middleweight titlist Saul “Canelo” Alvarez. 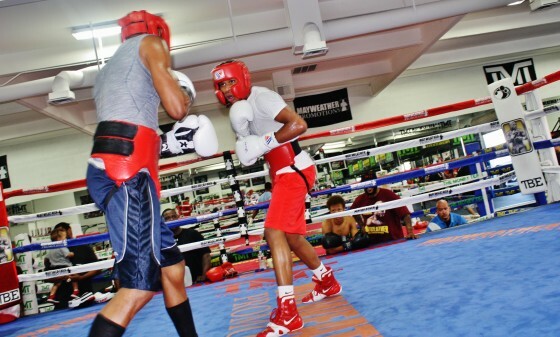 Karim Mayfield talks Mayweather vs. Berto and addresses grudge rumors with Errol Spence Jr.
For several weeks this summer, Karim Mayfield saw his name thrust into the headlines as a possible opponent for Floyd Mayweather. 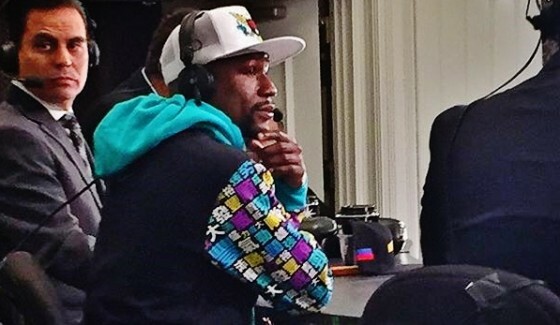 And while he never was able to land the big shot, Mayweather elected to face Andre Berto instead, Mayfield still kept a positive attitude throughout the process. This past Saturday in Las Vegas, former WBC welterweight champion Andre Berto gave a spirited effort against perennial pound for pound king Floyd Mayweather, ultimately dropping a unanimous decision loss after 12 rounds. Fighting inside of the MGM Grand Garden Arena for the second time in his career, you could tell that Berto (30-4, 23 KO’s) was in top physical shape as he attempted to break through Mayweather (49-0, 26 KO’s), even making the contest interesting on a few occasions. 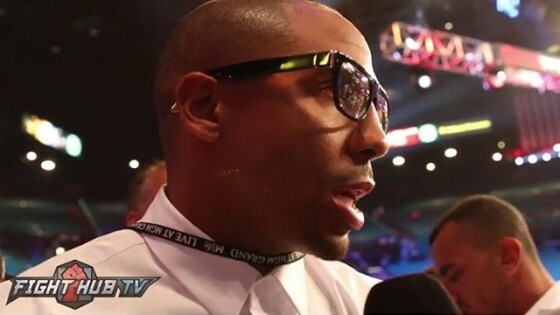 To anyone who follows the sport of boxing somewhat closely, you can surely spot the tension coming from both sides regarding a possible fight between WBA middleweight champion Gennady Golovkin and WBA super middleweight king Andre Ward. 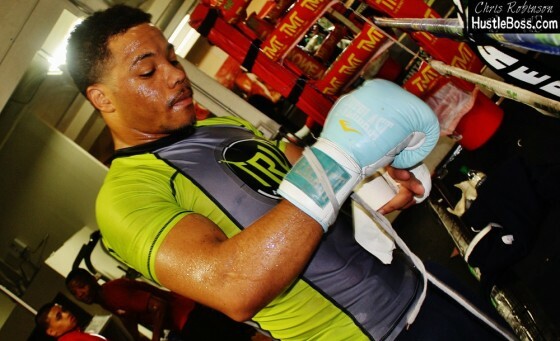 There has been curiosity surrounding the potential matchup for a few years now but Ward insists that the Kazakhstan star and his team, specifically trainer Abel Sanchez and promoter Tom Loeffler, are feeding the public lies about their interest in a showdown. On Saturday night, Sep. 12, in front of an estimated 13,395 partisans inside of the MGM Grand Garden Arena, Floyd Mayweather captured a wide unanimous decision victory over Andre Berto by scores of 120-108, 118-110, and 117-111. 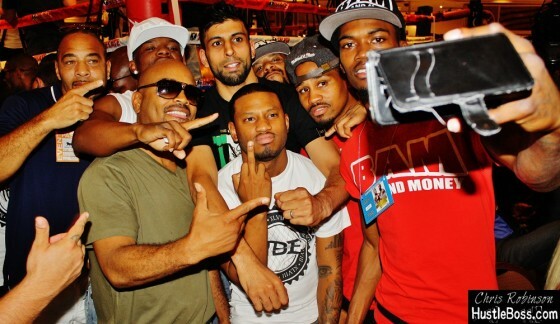 Hustle Boss was on the scene throughout the evening and their was a special buzz in the air, given the fact that this may be Mayweather’s final ring performance. We are still inside of the MGM Grand media center in Las Vegas, Nev., where earlier tonight, Floyd Mayweather handily defeated Andre Berto over twelve rounds. 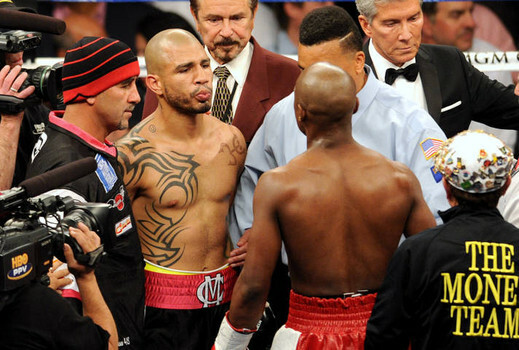 Following the action, Mayweather was tabbed the clear victor, as scores of 120-108, 118-110, and 117-111 were are read in his favor. 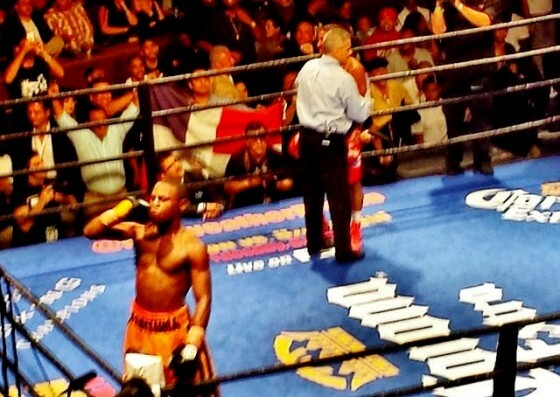 With the win, Mayweather moves to 49-0 with 26 knockouts while Berto drops to 30-4 with 23 knockouts. 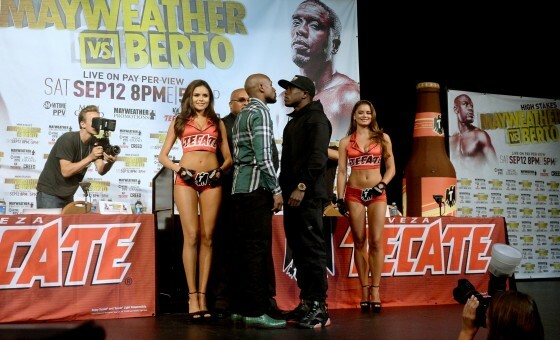 Earlier today, inside of the MGM Grand Garden Arena, undefeated pound-for-pound king Floyd Mayweather and former WBC welterweight champion Andre Berto weighed in ahead of their big matchup tomorrow tonight. Mayweather (48-0, 26 KO’s) and Berto (30-3, 23 KO’s) meet on Saturday night in a SHOWTIME pay per view clash that may serve as Floyd’s last and final bout as a professional. 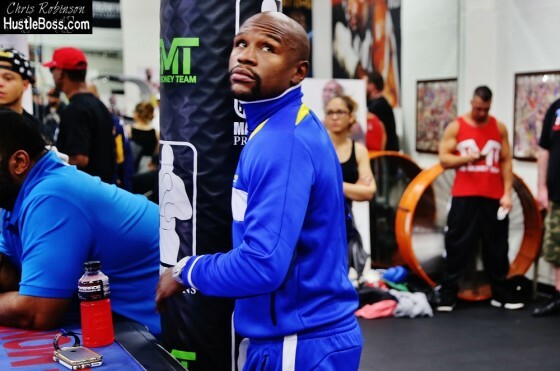 On Saturday night, Sep. 12, Floyd Mayweather will fight in perhaps his last official bout when he steps into the ring against former WBC welterweight champion Andre Berto. Mayweather (48-0, 26 KO’s) and Berto (30-3, 23 KO’s) square off inside of the MGM Grand Garden Arena in a SHOWTIME pay per view headliner that is lopsided in Floyd’s favor. 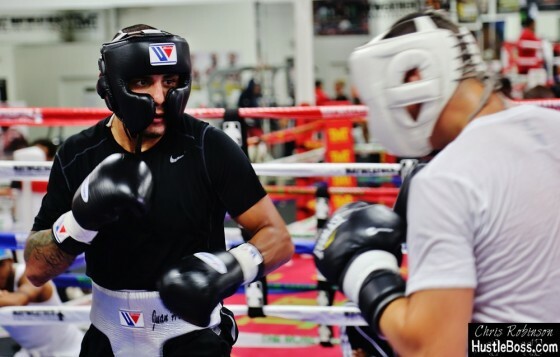 During any notable fight week in Las Vegas, you are sure to hear your share of sound bites from various boxing luminaries as the days pass by. 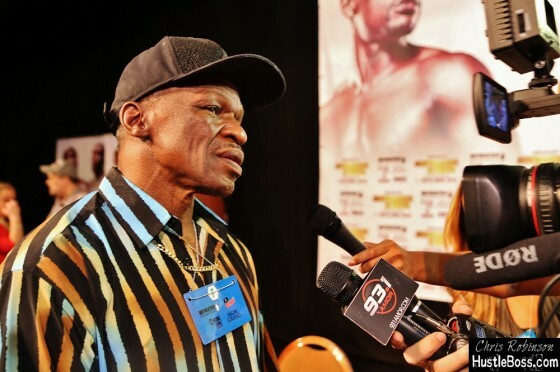 We are just three days removed from Saturday night’s Floyd Mayweather vs. Andre Berto clash and while you can’t exactly sense any animosity coming from either side, there has been plenty of verbiage to take in the past few days out here in Las Vegas. 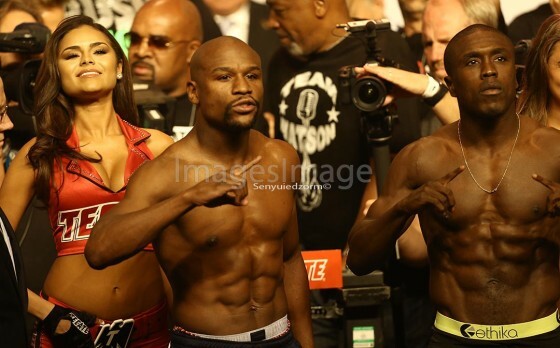 On Wednesday afternoon, Sep. 9, Floyd Mayweather and Andre Berto came face to face at their final press conference ahead of their pay per view collision on Saturday night. Mayweather (48-0, 26 KO’s) faces off with Berto (30-3, 23 KO’s) on SHOWTIME pay per view from the MGM Grand and while the fight wasn’t at first greeted by open arms from the boxing public, there is no doubt that several eyes will be fixated on the matchup this weekend given the fact that it may be Floyd’s final appearance in the ring. 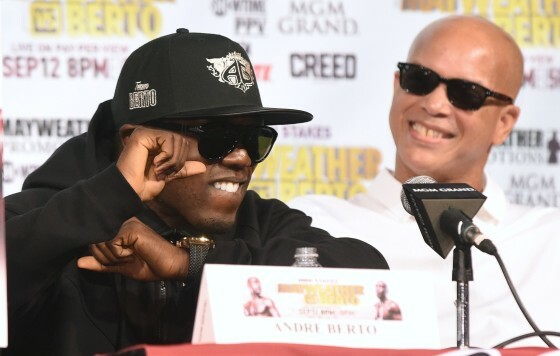 On Tuesday afternoon, Sep. 8, five-division world champion Floyd Mayweather (48-0, 26 KO’s) and his next foe, former WBC welterweight champion Andre Berto (30-3, 23 KO’s), made their official arrivals to Las Vegas ahead of their SHOWTIME pay per view matchup this weekend. Mayweather and Berto both appear in great spirits as the fight, possibly Mayweather’s last in his illustrious career, draws near. On Tuesday afternoon, Floyd Mayweather made his official arrival to the city of Las Vegas ahead of his showdown this weekend vs. Andre Berto. Mayweather (48-0, 26 KO’s) faces off with Berto (30-3, 23 KO’s) inside of the MGM Grand Garden Arena on Sep. 12 and it was a packed scene inside of the hotel’s lobby.